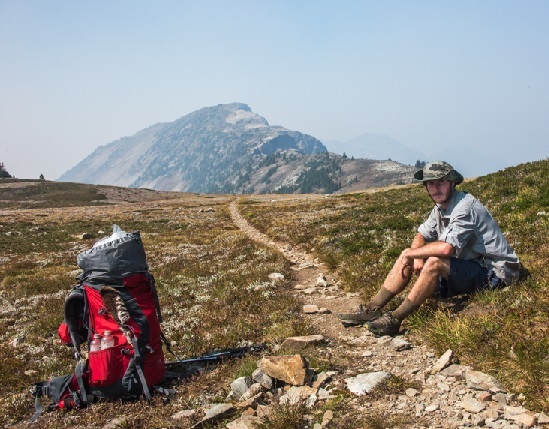 In Episode 34, Alex “Money Shot” Maier talks about his film “A Sense Of Direction” which documents his travels on the Pacific Northwest Trail in the summer of 2015. Alex chose the PNT for his first thru-hike (and first hiking film) to explore one of the newest trails in the National Scenic Trail system – which earned the status in 2009. Only a few hundred backpackers have thru-hiked the 1200 mile trail to date, and all have had the fortune to experience the PNT while it is still in it's infancy. This entry was posted in backpacking movies, pacific northwest trail on July 20, 2016 by BirdShooter.